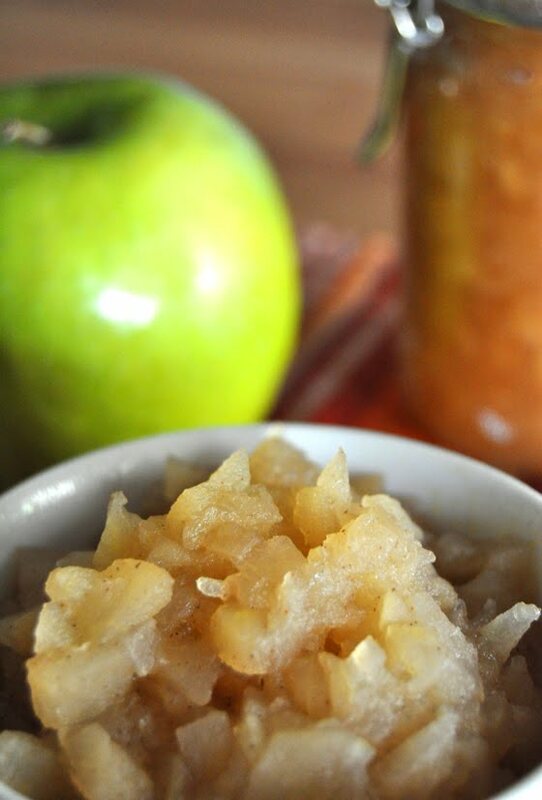 I decided to re-share this recipe because I've been using my homemade apple sauce like crazy in my morning oatmeal. I absolutely love it in combination with some raisins and pecan halves, what I do is mix some in the oatmeal. I cook it and then top it with another spoon-fool. It replaces the need to sweeten it with anything else and tastes so good! My son Loves apples, it is his favorite fruit (so not like me!) and he of course, loves apple sauce. I sometimes cringe at all the unnecessary stuff that goes into the store bought stuff, but buy it most of the time anyway... which is also unnecessary now when I know how easy it is to make your own at home, and how much better it tastes! What I really planned for the past few weekends was to go to a local orchard (not too many of them here) and do some family apple picking. 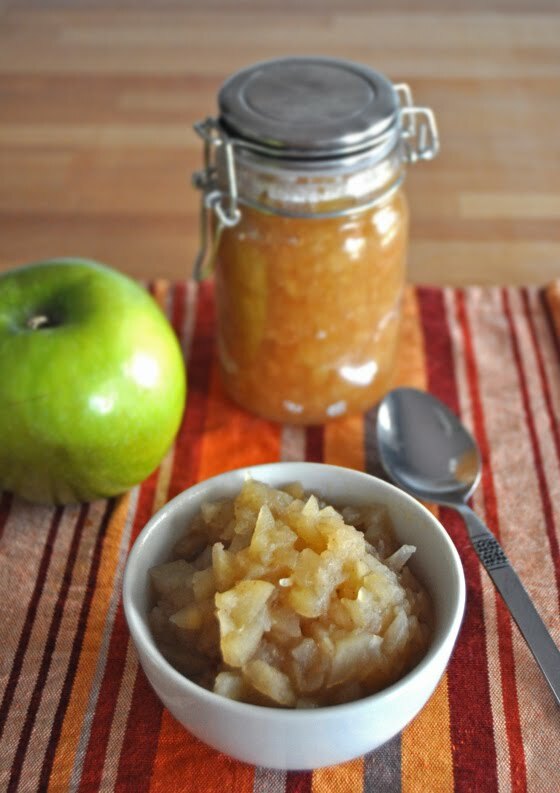 And then go home and bake all different kind of goodies, including apple sauce for my son. It didn't happen for many reasons, but I did manage to at least get some nice apples from farmer's market. Combine all the ingredients in a pot and simmer until most of the water evaporates. If the apples are still not the consistency you are going for, add some more water. I cooked them for about half and hour and then mushed them just a tiny bit because I wanted chunks in mine, but feel free to mush them to whatever consistency you prefer. 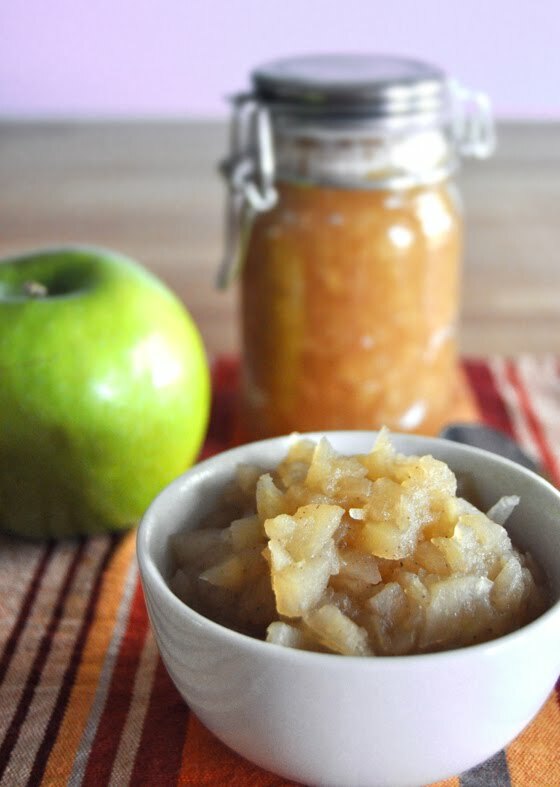 We ate this apple sauce (yes, it was for my son, but we all ate it because it was yummy) on it's own and also with some vanilla Greek yogurt and granola. That was really a hit with my toddler and myself!